EDITOR’S NOTE: Windham Press, the publisher of the LSAT Prep Book, responded to The College Fix after this article was published. It said the disparaging references to Trump were written by a “third party contractor” and escaped the editing process, but they are being removed from a new version that is being published this week. The headline and body of the article have been changed to reflect this update. The “Trump Bump,” a reported spike in the number of students taking the Law School Admission Test following Donald Trump’s election, does not appear to be the only way the president is influencing LSAT test-takers. One LSAT study guide directly and implicitly mentions the president in a manner that some may consider inappropriate in a purportedly neutral educational resource. 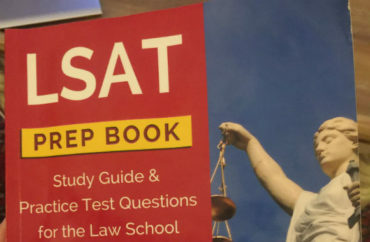 The LSAT Prep Book, published by the Windham Press imprint Test Prep Books, includes at least two questions related to Trump in its most recent guide, which was first published in December 2016 and reprinted May 24, 2018, according a copy obtained by The College Fix. The first question (below) appears as the top example for the “foundational” concept of “Reasonableness,” which entails evaluating the author’s evidence to justify a conclusion. Donald Trump is unfit to be President of the United States of America. He lacks political experience and backs racist policies, such as internment camps and deportation. Ronald Thump will be the next great president of the United States. His cutthroat business tactics will be quite effective as the nation’s top executive. Mr. Thump’s manipulation of tax and bankruptcy loopholes helped grow his father’s fortune. Despite its initial flattering assessment of the lightly fictionalized candidate, the takeaway of the statement is that the current president previously manipulated tax policy for his family’s benefit. It appears directly below a lighthearted practice question about the “Michael Scott Paperless Company,” which alludes to a plotline from the hit NBC sitcom The Office. Test Prep Books, which publishes the book, is not an officially recognized provider of prep material under the Law School Admission Council’s standards, a spokesperson for the council told The Fix. 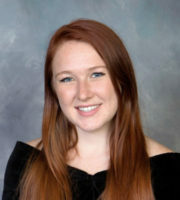 LSAT content is “governed by strict guidelines to avoid bias, and all content undergoes multiple reviews to ensure that there is no bias,” Wendy Margolis, senior director of executive communications and public affairs for the group that administers the LSAT, wrote in an email. Margolis gave the example of Khan Academy, a new collaborator that “worked very closely” with LSAC on “the design of the LSAT prep platform.” LSAC also provided official content to Khan. LSAC “cannot vouch for the quality of the material” that non-licensed providers use to “base their prep courses or books,” she added. One example of “logic reasoning” for Khan Academy, which officially licenses LSAC material, is much more conventional than Test Prep Books’ Trump and “Thump” examples. It discusses the frustration of receiving a “mistaken utility bill” and “computer files that cannot readily be retrieved,” mitigated by the convenience of modern technology. Even The Princeton Review, another LSAT prep provider that does not include official material from LSAC, includes questions that mirror those found in approved materials. One example concerns the connection between a mayor telling his “townspeople” to burn less wood and a decrease in the daily burning of wood “a few weeks after” his letter was delivered. The Fix was not able to find examples that referred explicitly or implicitly to Donald Trump, whether in neutral or leading ways, in prep materials for the SAT or Advanced Placement exams. The Fix could not find working contact information or even a web presence for Test Prep Books or Windham Press. The LSAT Prep Book includes a single email address through which consumers can order a free DVD and more prep materials. At Windham Press, we try our best to avoid controversial topics and focus on helping our readers succeed on their tests. The content highlighted today, written by a third party contractor, somehow escaped our editing process and we apologize to President Trump and his supporters for the content that was deemed offensive.